We are very happy to share the interview that the ISSA, which is one of the top Associations of the cleaning industry. 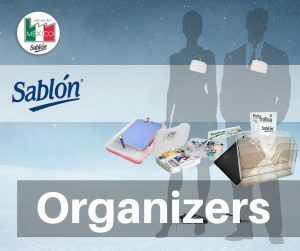 It makes us very proud to know that the quality of the products from this 100% Mexican company like Sablón, has the recognition of this great international Association. To Generate Value through solutions that contribute by preserving our environment, as well as improving communication, organization, and hygiene in our community, by using technology, innovation and design. 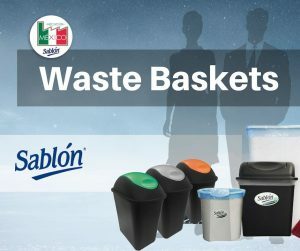 At Sablon we have waste baskets of all sizes and types. From a small wastebasket for your home or a hotel room, to a swing dome collection that can be transformed into a small recycling station with a var. A large variety of trash cans that can be turned into a durable and resistant recycling station due to its very innovative design. This year we are launching a new line of trash cans, the “Toff” 120-liter trash can with a funnel and a flat lid, available in ten colors. 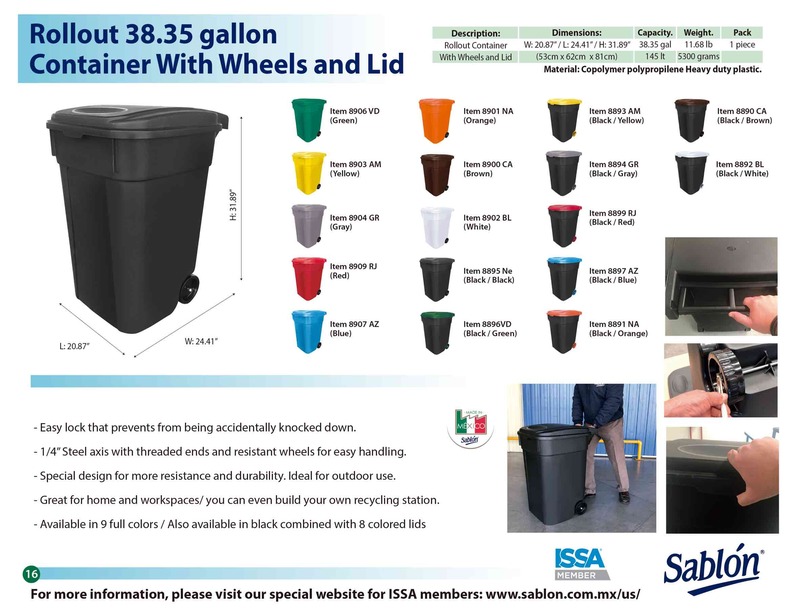 For those large amounts of waste, the 145-liter Sablon Container is a great option for outdoor use. Its easy automatic lock in lid prevents animals to open it, and its strong set of wheel let you carry the container wherever you want. 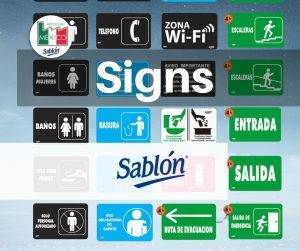 We are one of the largest suppliers for signs in Mexico since 1083. Signs are most important in the cleaning industry and we come this time with two whole new lines of products; al line of outdoor metallic signs and a line of plastic easels with all kinds of different applications. Sablon is not just a Trash can manufacturer. Since 1983 we design and manufacture all kinds of space organizing solutions, like the graphic holders, the “Organifolder”, that can be hanging from a door or can used as a base for a small printer. You can visit our website to see our complete line or space orgenizers. 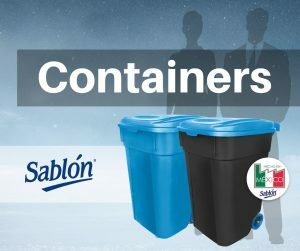 In this catalog, you will find a complete array of trash cans, waste baskets, containers and recycling bins to offer a great business opportunity, all together with our line of organizers and signals…At Sablon, We organize your space.